Sarah Jacqueline Crow and James Holt work in the vast maguey fields that span the bone-dry Southwest, a thirsty, infinite land that is both seductive and fearsome. In this rough, transient landscape, Sarah Jac and James have fallen in love. They're tough and brave, and they have big dreams. Soon they will save up enough money to go east. But until then, they keep their heads down, their muscles tensed, and above all, their love secret. When a horrible accident forces Sarah Jac and James to start over on a new, possibly cursed ranch called the Real Marvelous, the delicate balance they've found begins to give way. And James and Sarah Jac will have to pay a frighteningly high price for their love. 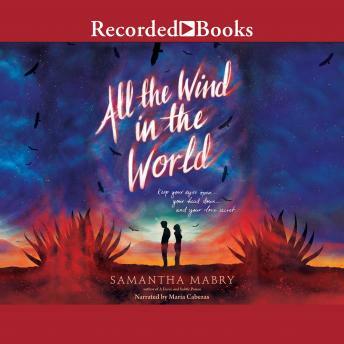 Perfect for fans of the Raven Cycle, Wink Poppy Midnight, and Bone Gap, Samantha Mabry's luscious prose weaves a breathtaking tale of dread and danger, romance, and redemption.